So you’re thinking about putting together a website with all the bells and whistles. Before you go and hire someone to develop your site, stop and make sure you know everything you need to know about website law. As you see, there are many things to take into consideration before creating a website. An attorney who understands website law can help you navigate through the ins and outs, while insuring that everything is done correctly right from the start. FTC Regulations: With the explosive growth of e-commerce, the Federal Trade Commission (FTC) has implemented new regulations for conducting business online. Some of these include recent changes to endorsements and testimonials in advertising, the CAN-SPAM act which regulates email marketing, and other codes for website law that regulate e-commerce compliance. Copyright Law: The Internet makes copying intellectual property very easy, so it is important to protect the content you place on your website. As a website owner and disseminator of content, it is vital to make sure you are in compliance with US Copyright Law. If you have website designers and other employees, they need to be in compliance as well. An attorney can also advise you in the event of copyright infringement on your part, or on the part of your employees. Trademark Law: When you establish your online business as a brand, it is important to protect your brand with trademark registration. A registered trademark not only protects your brand, it may also help to establish your credibility. A knowledgeable trademark attorney can explain the numerous benefits of trademarking your brand, as well as offer guidance on how to select a trademark, how to protect such a mark, and how you can avoid trademark infringement. Web Hosting Agreements: Many web hosting companies place excessive fine print in their agreements, and if you are unfamiliar with some of the tactics they use, you could end up inadvertently agreeing to something that will cost you in the future. 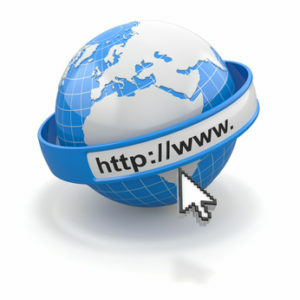 A website law attorney can help by reviewing the contract before you sign on the dotted line. Domain Names: Selecting and protecting your domain name is especially important since it identifies your brand name and your business. As the Internet continues to grow there are many legal issues that can transpire if you are not aware of regulations relating to the use of domains. If you are starting up your first website or expanding your current business to the Internet, you may want to consider hiring a qualified attorney knowledgeable in website law to guide you on the legal issues you may encounter.